Kate will release its Spring 2011 makeup collection on 1 February in Japan. 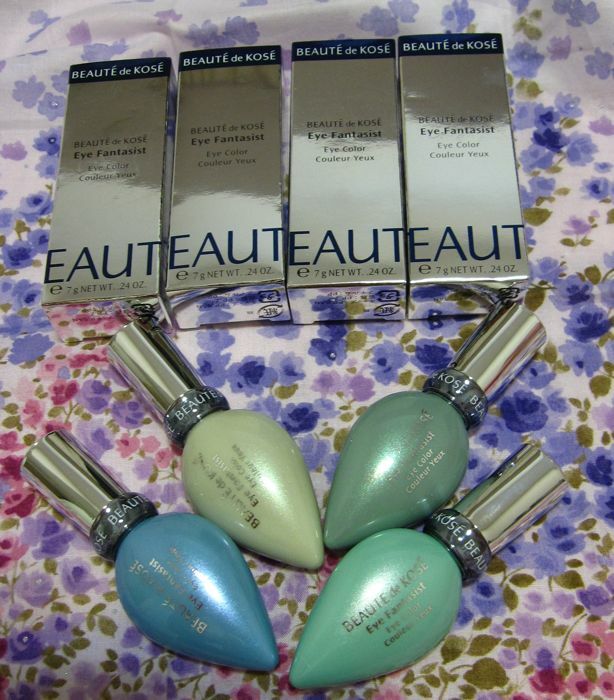 I was not able to make it to the Kosé Sale at Great World City yesterday but thanks to Kas (Shine Shimmer & Sparkle), I was still able to snag these four Beauté de Kosé Eye Fantasists! As some of you may have heard, Beauté de Kosé will be discontinued in the third quarter of 2011, which is a pity as it has quite a loyal following and some outstanding products like the Eye Fantasists, which are metallic cream eyeshadows. 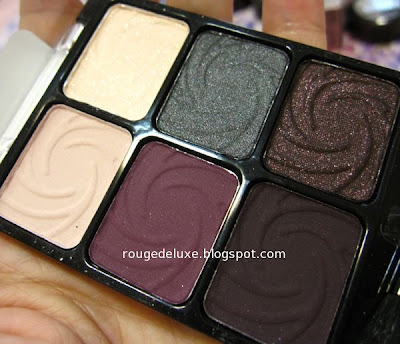 I already owned two of these from the Fantasist Collection 2. The Eye Fantasists were going for S$12 each at the sale, down from the usual retail price of S$38. 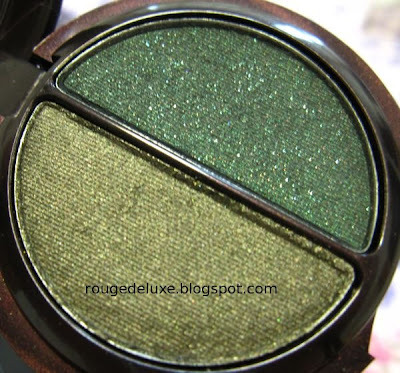 Above are GR750 Dressed Leaf (left) and GR754 Emerald Mist (right). 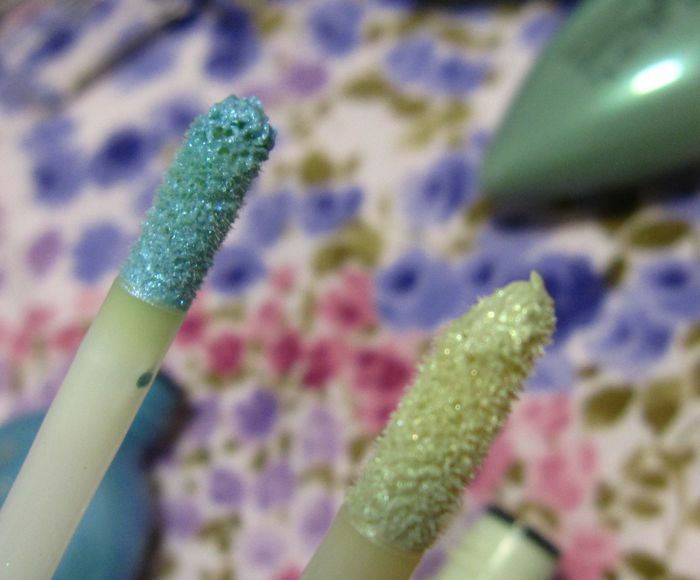 Below are BL952 Blue Wonder and GR751 Dew Green. 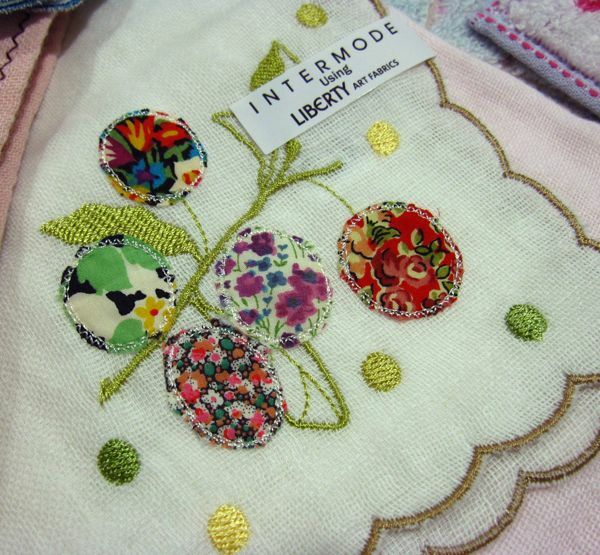 Hope some of you ladies managed to make it to the sale! 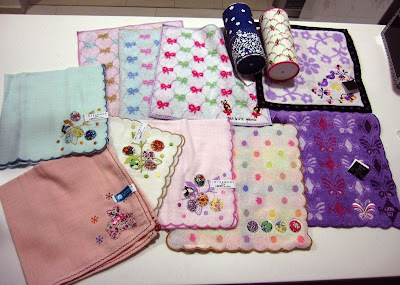 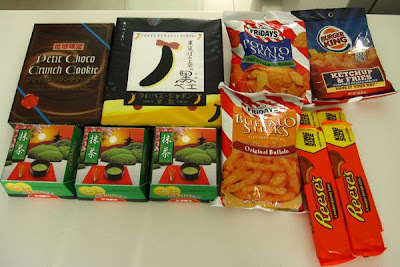 A few readers asked about what I had purchased during my recent trip so here are the pics! 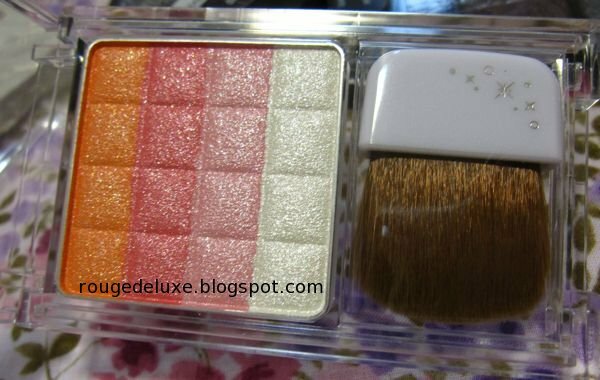 Several of these are actually purchases for friends, like the Tokidoki Robbery palette, the Wet'n'Wild and Physicians Formula Shimmer Strip palettes on the left side of the pic. 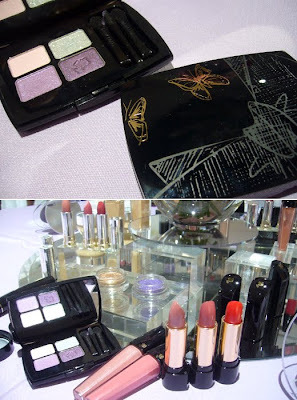 I've already reviewed some of these, like the Magie Deco, Anna Sui and Addiction items, so I won't elaborate on them in this post. Sephora happened to be having its 20% VIB discount during my trip so I took the chance to haul Philosophy shower gels. 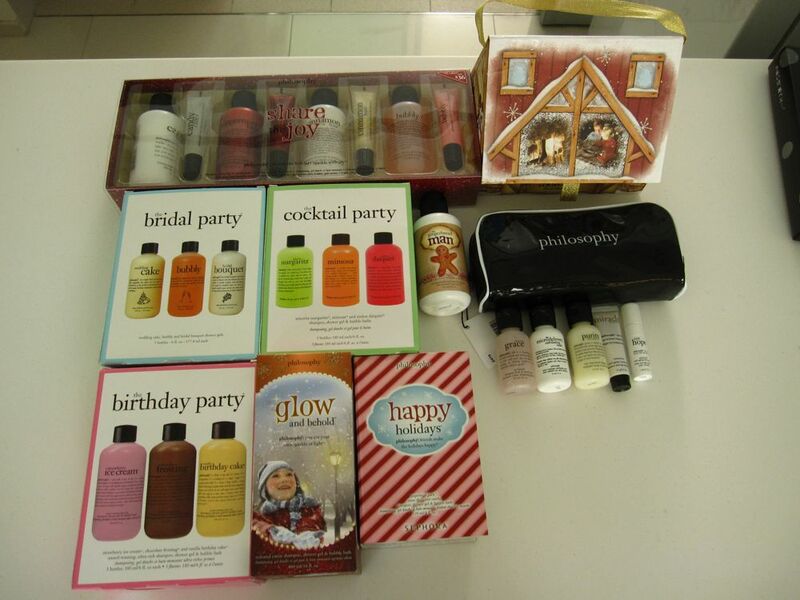 This prettily packaged Peppermint Bark Shampoo, Shower Gel & Bubble Bath was an absolute steal at just US$5 with any Philosophy purchase at Sephora. 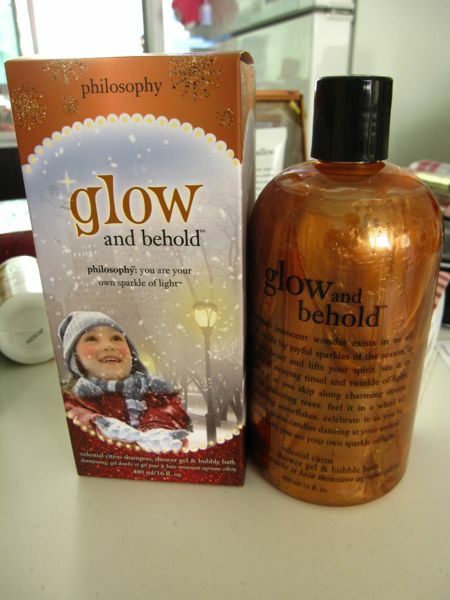 Philosophy Glow & Behold Celestial Citrus Shampoo, Shower Gel & Bubble Bath. 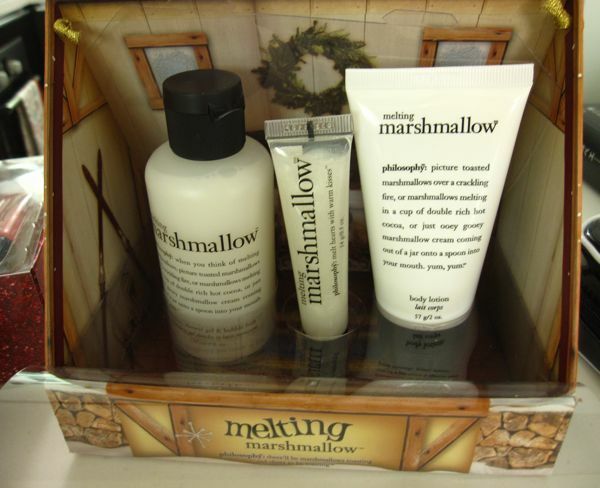 The Melting Marshmallow set with a Body Lotion, lipgloss and Shampoo, Shower Gel & Bubble Bath. 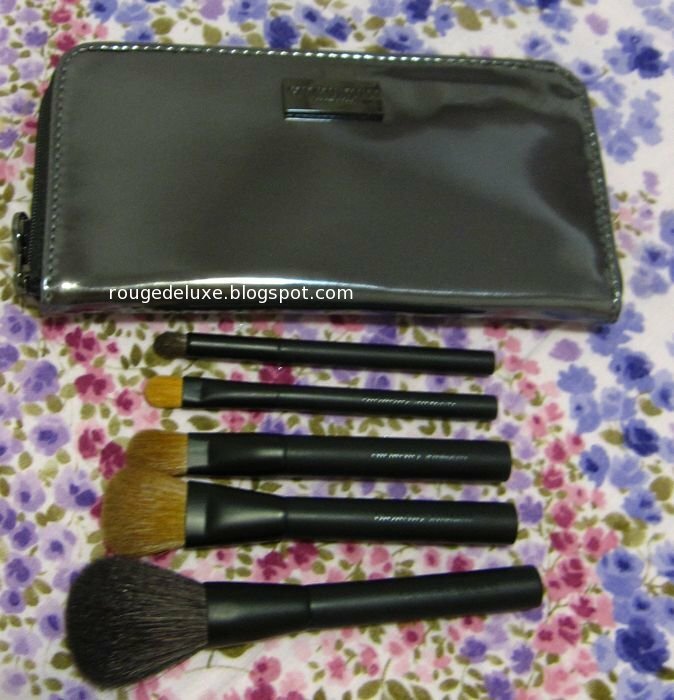 At Saks 5th Avenue, I picked up the Giorgio Armani travel brush set. Priced at US$100, it is supposed to have a retail value of US$200. 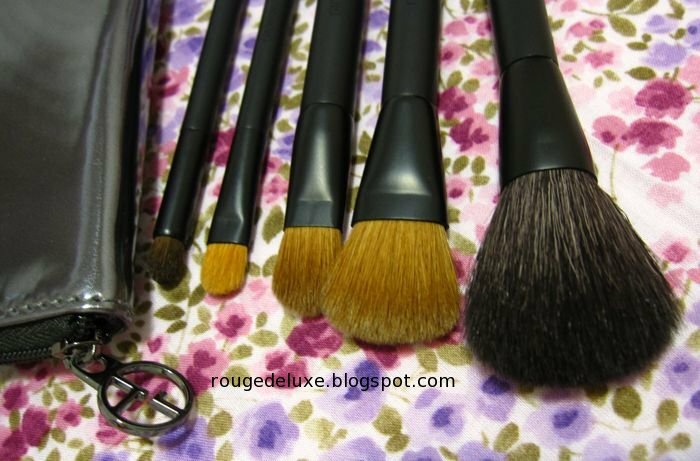 It includes an eye contour brush, a concealer brush, an eye shader brush, a blender brush and a blush brush. Another new brush is Stila's #33 One Step Complexion Brush. 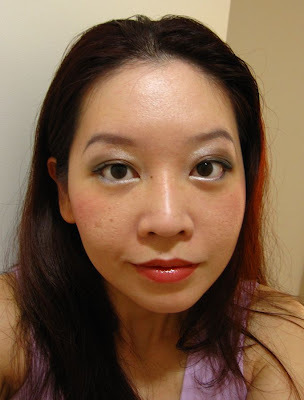 According to the description on Sephora, one side beautifully blends liquid, creams, and powder foundation into your skin, while the other delivers precision concealing for a perfected, polished complexion. The synthetic bristles are shaped to imitate application with your fingertips, but are firmer and more flexible for quicker, easier makeup application. 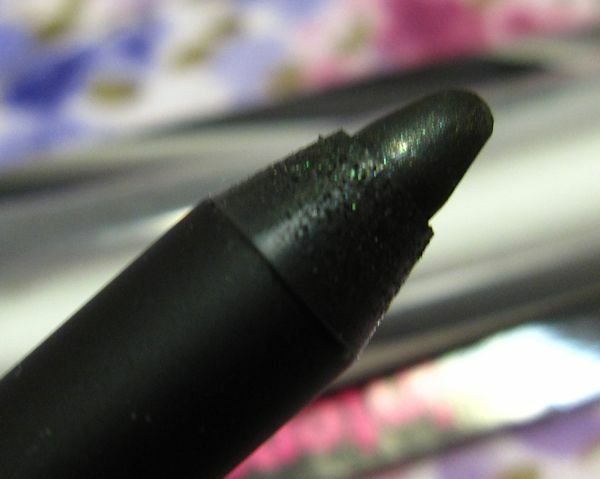 The tapered brush tip can burrow into tiny, hard-to-reach crevices and the synthetic bristles eliminate the transfer of oils and bacteria. 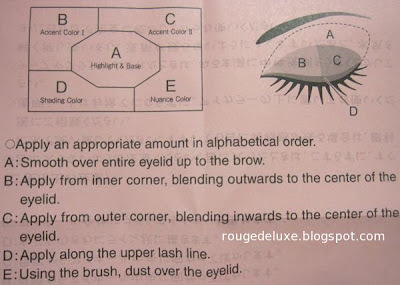 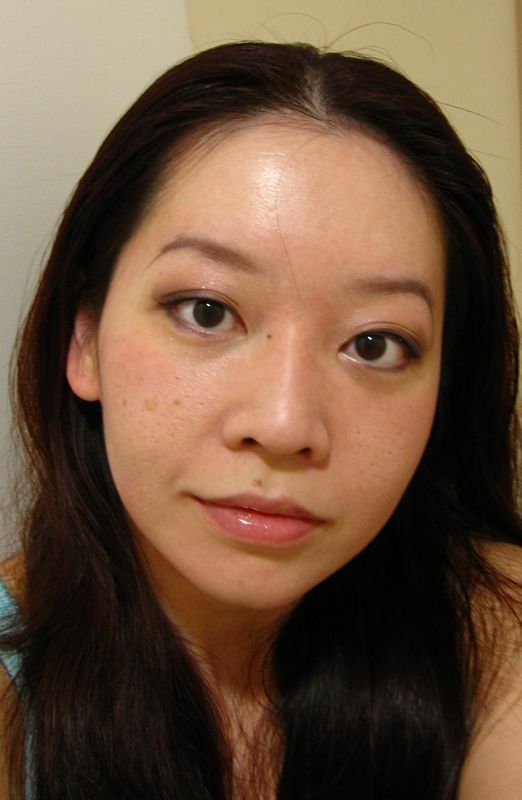 It can also be used to apply eyeshadow and cheek color. 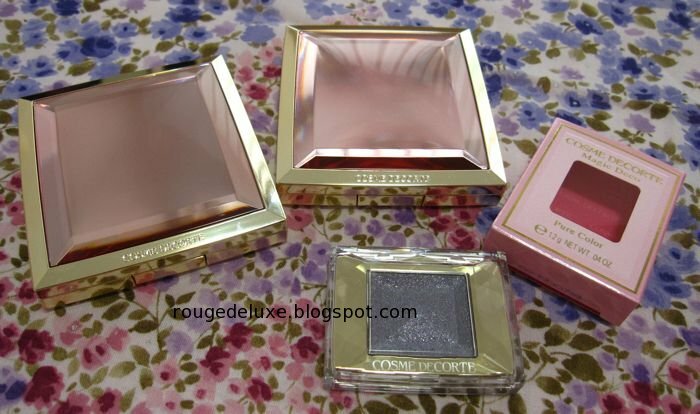 At the drugstore, I bought a clutch of L'Oreal HIP eyeshadows. Some are permanent shades while the others are from the new Midnight Muse collection. I tried to pick the duos with more complex colours. 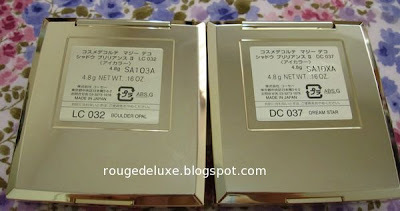 Sally Hansen HD Nail Color in DVD and Wet'n'Wild ColorIcon Nail Color in Prowler. 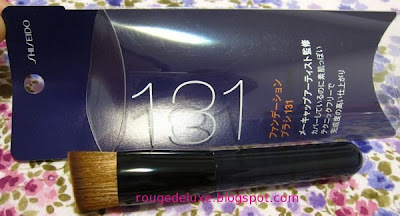 In Japan, I picked up this newly released Shiseido #131 Foundation Brush, which can be used with powder, liquid, cream and stick foundations. 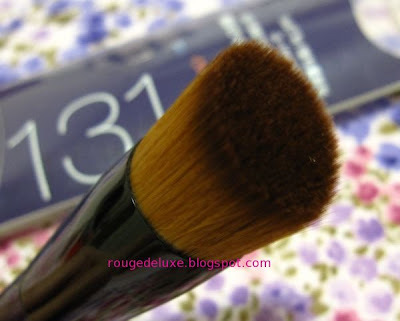 The normal retail price is 1890yen but I got it at 30% off at a drugstore. 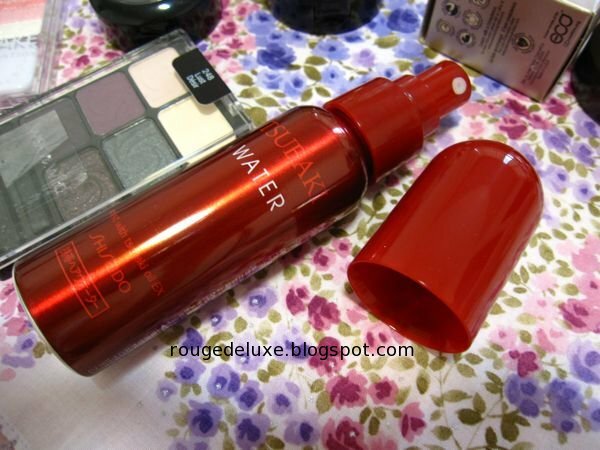 Shiseido's new Tsubaki Water is a leave-in hair treatment spray with Tsubaki's trademark camellia oil to help nourish hair. 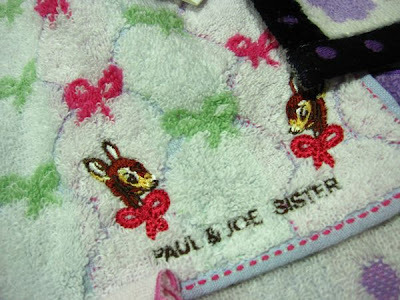 Paul & Joe Sister, Liberty and Anna Sui handkerchieves. 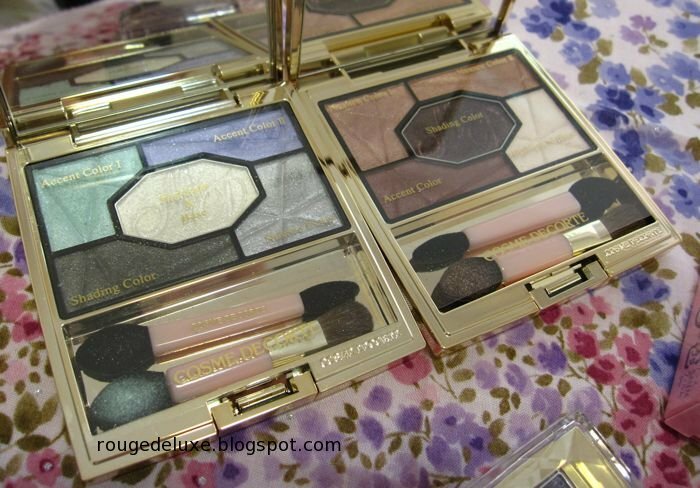 On my recent trip to Osaka, I also picked up a couple of Magie Deco Shadow Brilliance II palettes and a Pure Color eyeshadow single in addition to the holiday coffret. The palettes are 5775yen (about S$88) each while the Pure Color eyeshadow is 1575yen (about S$25). 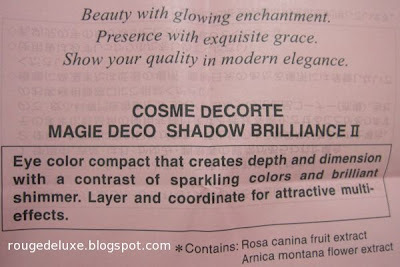 The gold and pink packaging of the Shadow Brilliance compacts is less elaborate than that of their higher end sister brand, Cosme Decorte AQ. The cases tend to attract fingerprints though but I like that they are slim and lightweight and thus, convenient for carrying around. The plastic sheet overlay is printed with the suggested use for each shade, with more detailed application instructions in the included leaflet, as shown below. 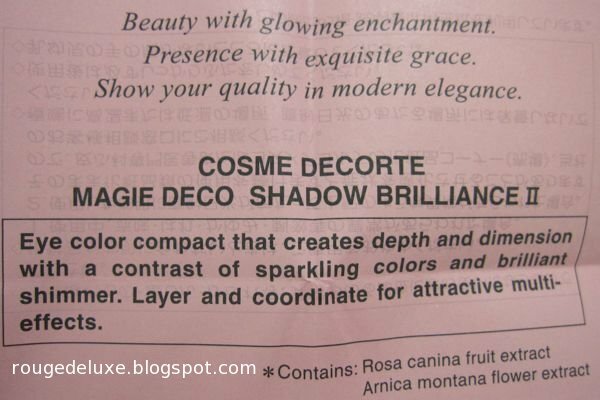 The ingredients list is printed only in Japanese with the first ingredient as talc. 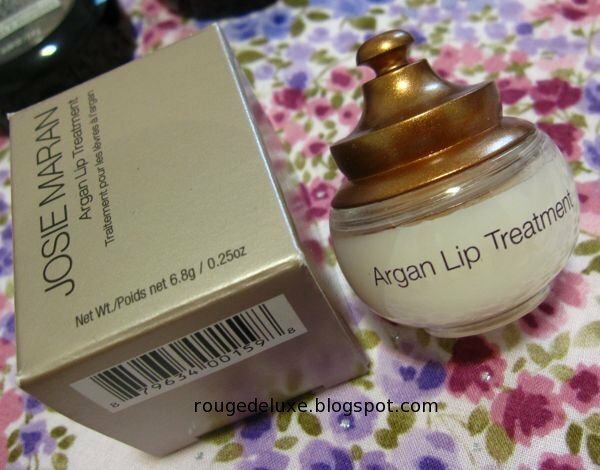 Other ingredients include lavender flower water, almond oil, rose and safflower extracts and tocopherol. 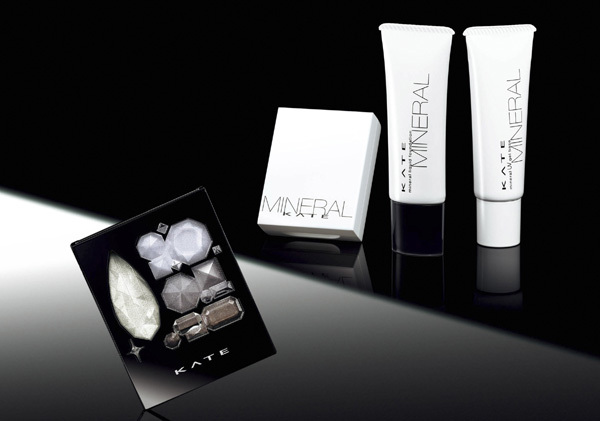 It also contains mineral oil, fragrance and methylparaben. Each palette contains 4.8g of product. 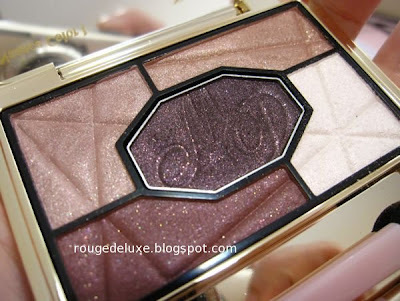 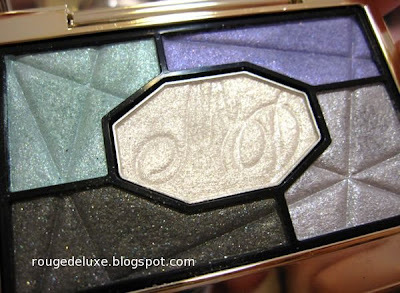 To compare, Jill Stuart's Jewel Crystal Eyes are 6g, Lunasol's Nature Color Eyes are 6.5g and Dior quints are 6g. 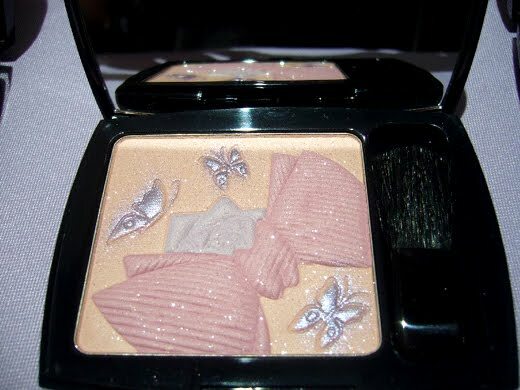 DC037 Dream Star is from this year's fall collection. 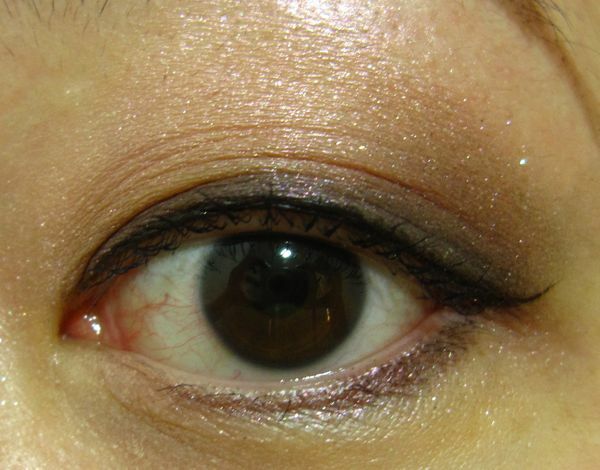 The "DC" prefix denotes gradational shade combinations while "LC" denotes combinations with more contrasting shades. 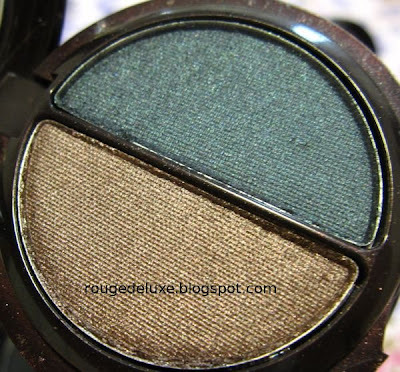 The texture of the eyeshadows is quite soft and silky, which makes them easy to blend. 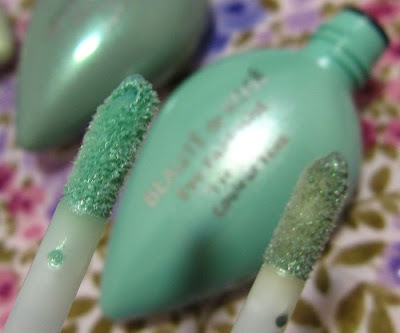 The shimmer is very refined without any chunky glitter bits. The only drawback is that they all tend to apply sheer, so it takes quite a bit of layering if you prefer a more intense finish. LC032 Boulder Opal, from this year's spring collection, is a more unusual combination of sky blue, light mint and smoky grey and silver. 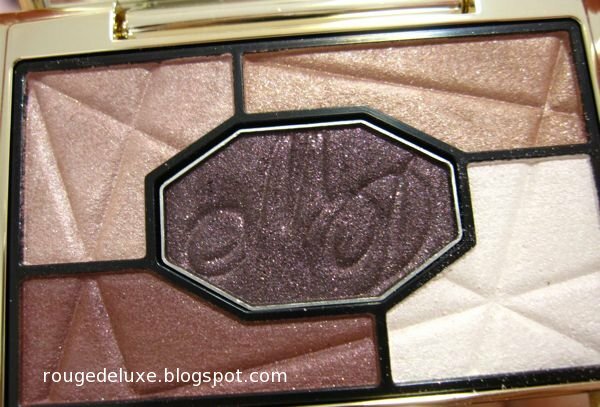 Once again, the shades all apply relatively sheer, so a good primer is necessary to get them to show up better and last throughout the day. I did two looks with this. 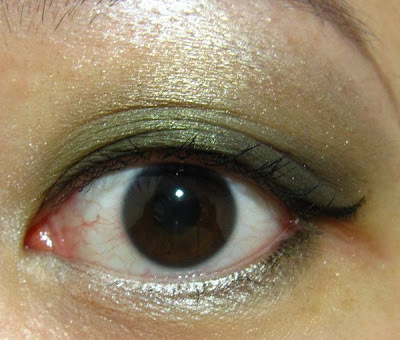 For the first one, I applied the light green shade from the inner corners to the middle of the lid, blended into the dark grey and blue shades at the outer corners. 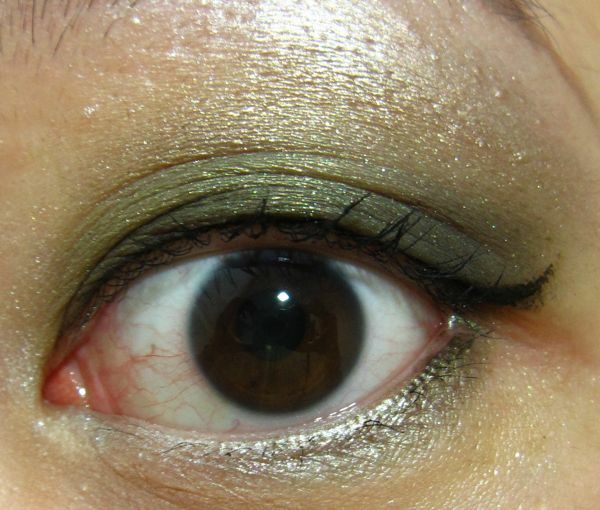 I used the white shade over the browbone area and a mixture of the dark grey and green shades along the lower lashline. 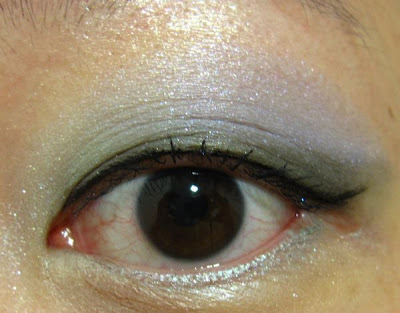 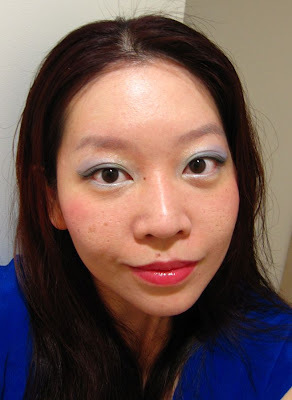 For the second look, I applied the blue shade over the eye socket area, the green shade at the inner corners and the dark grey shade along the upper lashline. 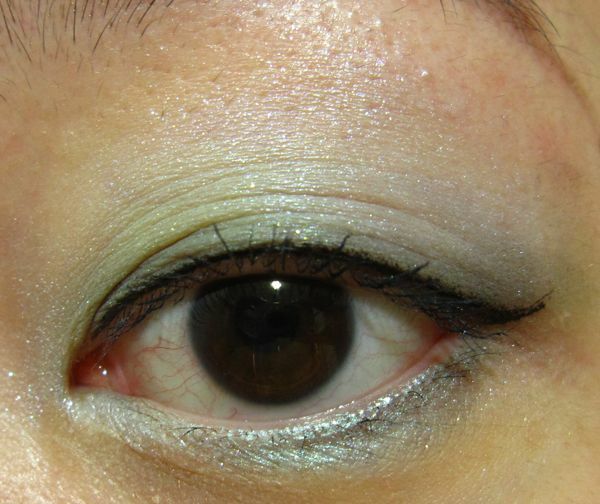 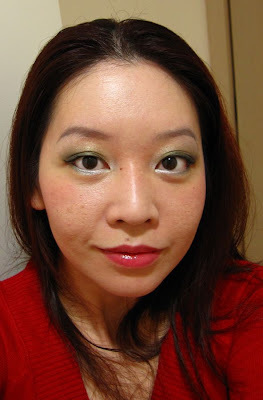 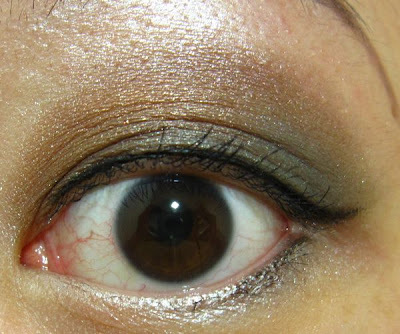 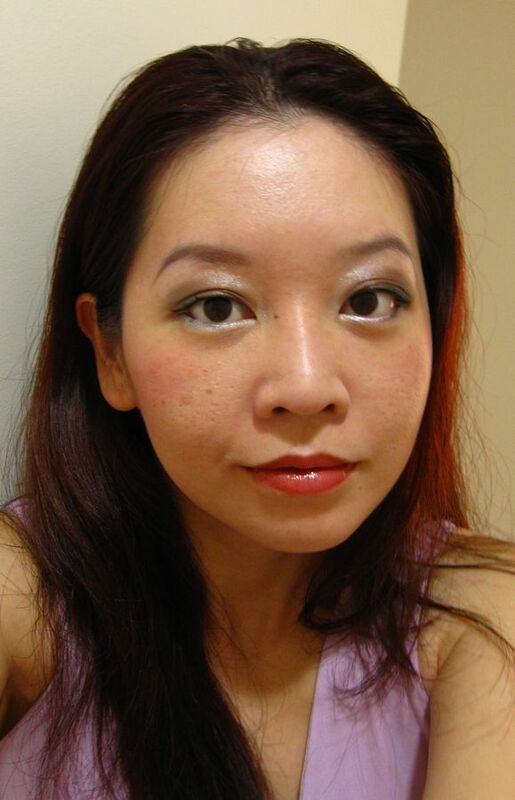 I used the white shade over the browbone area and a mix of the silver and green shade along the lower lashline. I actually forgot to do my brows before taking the pic below! 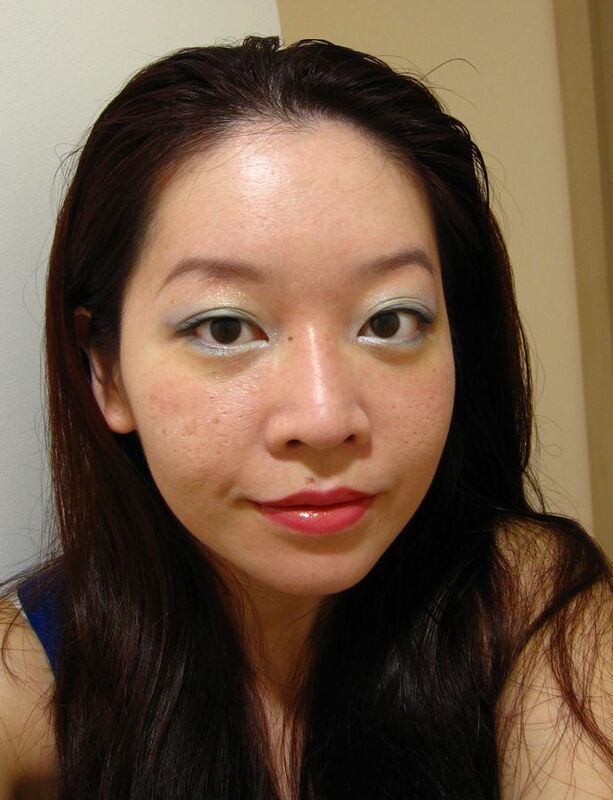 Anyway, I decided to post it anyway so that you can see the difference that groomed brows can make to the overall look. 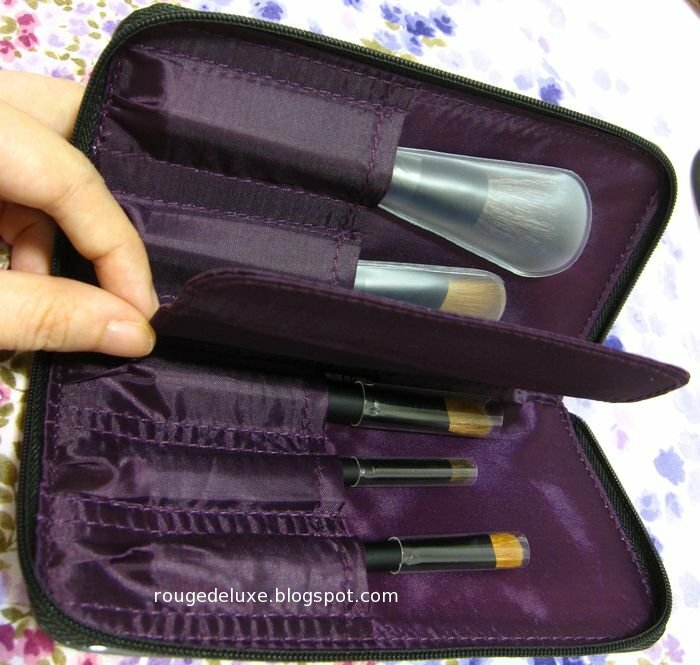 My current daily staple is K-Palette Real Lasting Eyebrow 24h 01. 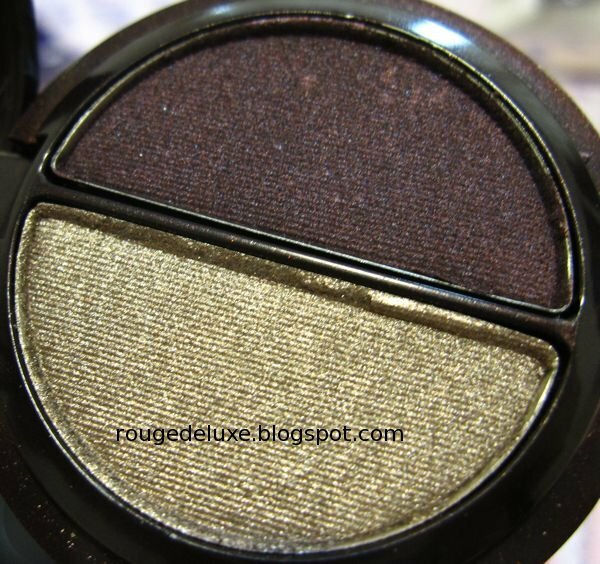 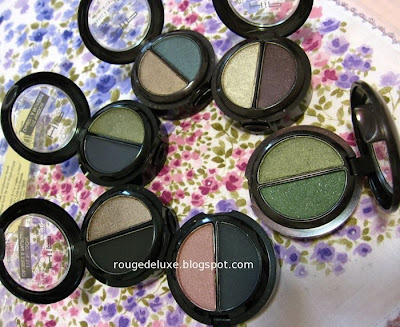 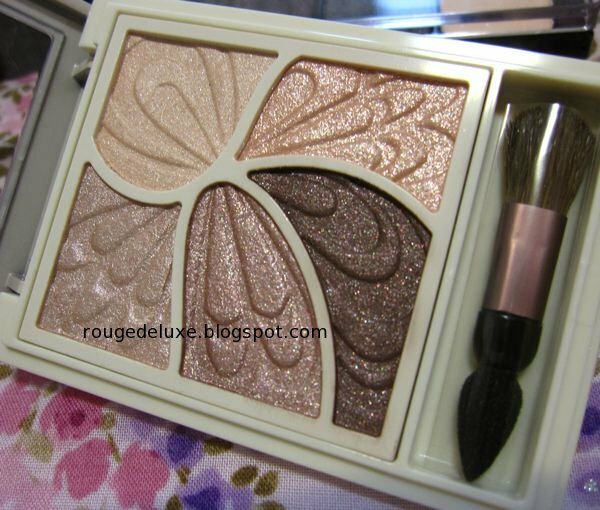 Overall, I liked the refined texture of the Magie Deco eyeshadows and the fact that they don't have any fallout problems (which I sometimes experience with Jill Stuart and Lunasol). However, I wish they had better colour payoff and applied more true to how they appear in the pan, especially for Boulder Opal.